Most people assume that racism grows from a perception of human difference: the fact of race gives rise to the practice of racism. Sociologist Karen E. Fields and historian Barbara J. 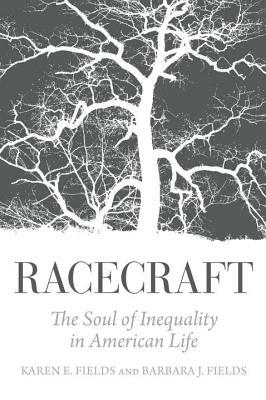 Fields argue otherwise: the practice of racism produces the illusion of race, through what they call racecraft. And this phenomenon is intimately entwined with other forms of inequality in American life. So pervasive are the devices of racecraft in American history, economic doctrine, politics, and everyday thinking that the presence of racecraft itself goes unnoticed. That the promised post-racial age has not dawned, the authors argue, reflects the failure of Americans to develop a legitimate language for thinking about and discussing inequality. That failure should worry everyone who cares about democratic institutions. Barbara J. Fields is Professor of History at Columbia University, author of Slavery and Freedom on the Middle Ground: Maryland During the Nineteenth Century and coauthor of Free at Last: A Documentary History of Slavery, Freedom, and the Civil War. KAREN E. FIELDS, an independent scholar, holds degrees from Harvard University, Brandeis University, and the Sorbonne. She is the author of many articles and three published books: Revival and Rebellion in Colonial Central Africa, about millennarianism; Lemon Swamp and Other Places: A Carolina Memoir (with Mamie Garvin Fields), about life in the 20th-century South; and a retranslation of Emile Durkheim s masterpiece, The Elementary Forms of Religious Life. She has two works in progress: Bordeaux s Africa, about the view of slavery from a European port city, and Race Matters in the American Academy."